I had a busy, productive, never ending week. Even though I LOVE my job, Friday and this weekend couldn't come quick enough. I've been looking forward to this weekend for WEEKS. How good does all of that sound?!?!? Plus it's always nice to meet and spend time with other Alumni. The past Alumni events (Dragon Boats and Sip & Skate) were a lot of fun, so this one should be too. On Sunday, I'm going with a long time friend to see the Wizard of Oz in Toronto. She has been talking about going to see this since December and it actually closes on Sunday. I've heard great things about this show, so I'm looking forward to seeing it. I'm sure that we'll also go for dinner, shopping, etc while we're in the city. Also this week, I made my first official presentation to a regional sponsor. As everyone knows, I work in non-profit fundraising. I'm not sure if I've mentioned this on my blog or not...but I'm actually in the process of transitioning into a new position at my organization. I currently do special events but am transitioning into a position where I will be specializing in sponsorship. While I knew this sponsor from our events, it was the first time I was the one requesting money from them. It went REALLY well. They were very happy and impressed. I'm exciting for this partnership. I also had the opportunity to attend a spa grand opening this week! It was nice to have that opportunity to mingle and network, plus get some pampering. I had a chair massage and a paraffin hand treatment. This also did paraffin feet treatments and mini makeovers. They were serving real iced tea (my favourite) and sangria. They had tons of food out too- creme brulee, mini tarts, fruit, salami bruschetta, smoked salmon on crackers, marinated chicken on a stick...there were more, but those are the ones I saw. It was lot of fun. Chelsea from Olive & Ivy added a search function to my blog for me this week...thanks Chelsea. If you are looking for a blog designer- either a full design or just one item- I HIGHLY recommend Chelsea! I've also added a Disclosure Policy to my blog, which can be found on my About page. I once again signed up for Cara Box, which is hosted by the super sweet mom-to-be Kaitlyn. This month, I've been partnered with LaDawn. I'm almost done putting her package together and can't wait for her to get it! 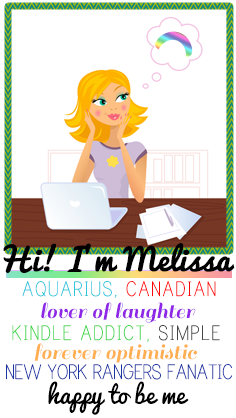 Finally, if you have a chance....go say hi to Tif, she's been MIA in blogland and is finally back...yea! You should also go say hi to Sarah, she's my blog crush, and Molly, who's blog EVERY girl should be reading. I was on vacation during this time and missed this post. You are so cute for always thinking of me and my favourite (okay, ONLY) Blog Crush. 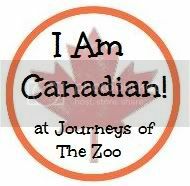 So excited to have you as November's "I Am Canadian" Feature (http://www.journeysofthezoo.com/2013/10/canadian-feature-november-dreamsandcolour).